Hampstead Village, London. 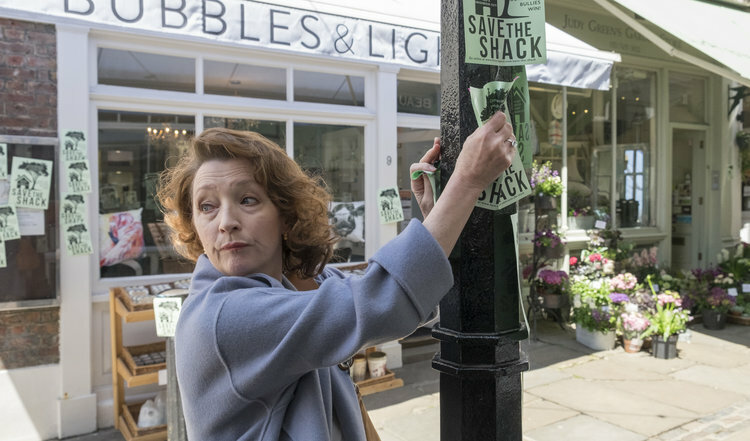 Famous for its beautiful and much-loved Heath – a piece of quiet countryside in a vast metropolis. Living on the edge of the Heath is American widow, Emily Walters (Diane Keaton), who can’t quite focus on the things that need attention, like her lovely old apartment, her finances and even her son. Despite encouragement from her close friend Fiona, she doesn’t want to admit that she’s drifting through life without much thought to her future. One day while looking out across the Heath from her attic window, Emily spies a ramshackle hut, which appears to be inhabited by an unkempt man. She witnesses him being attacked by a group of professional thugs. Shocked, she calls the police and watches, through her binoculars, as help arrives. The next day she ventures into the woods in search of the man. 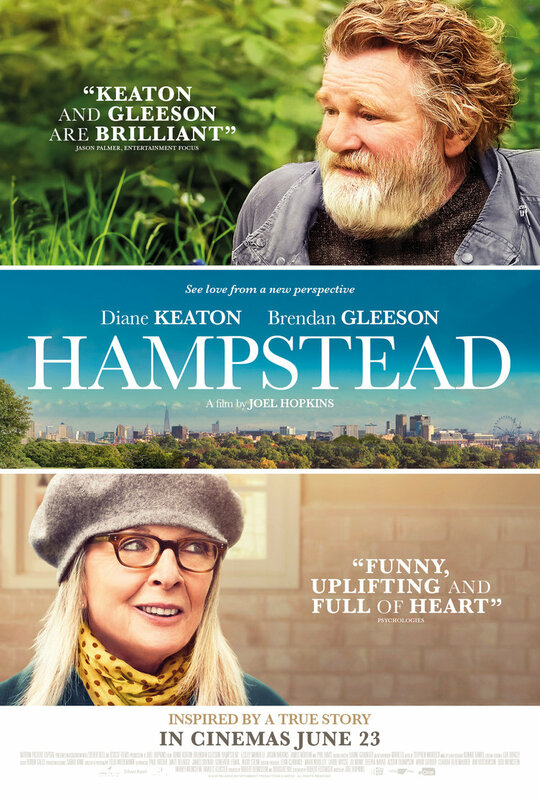 Donald Horner (Brendan Gleeson) has lived quietly and harmoniously on the edge of the Heath for 17 years but now his lifestyle is under threat – his home is the target of property developers who’ve started using heavy-handed tactics to remove him. When Emily introduces herself, he is naturally suspicious and politely thanks her but rebuffs her attention. Despite his gruff exterior, there is something gentle and alluring about Donald and when Emily discovers that Fiona is leading a community initiative in support of the developers, she bravely steps up to take Donald’s side in the escalating battle, determined to defend the emotional and physical livelihood of this quiet but unusual man – who has grown to trust her and who – despite his situation, just might be the man to sweep her off her feet. 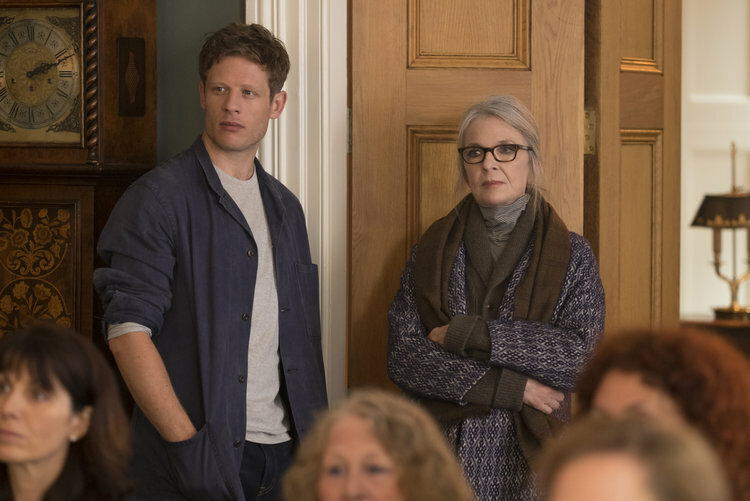 Inspired by a true story, HAMPSTEAD is a charming and funny life-affirming tale about how love can be found in the most unexpected places and proves once and for all that age is no barrier to second chances.